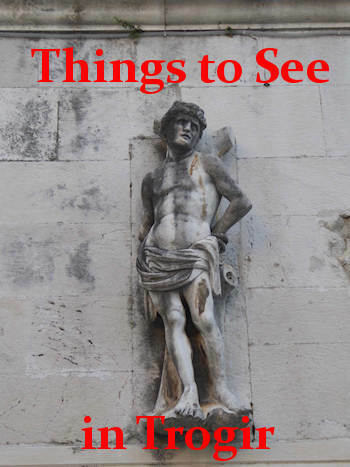 Find fun tours & activities in Trogir! Only 27km west of Split, travel to Trogir is easy and stress-free, whether by car or public transport, and is one of Split's most essential day trips. The historic town centre is a pedestrianized district that is like an outdoor museum. Finely-carved facades, elegant churches and palaces, Renaissance gates and medieval streets reflect Dalmatian art and architecture at its best. How much time to spend in Trogir? The city's streets and sights can be covered easily in a day. With more time, it's possible to check out the beaches of Ciovo. Trogir is a remarkable example of urban continuity. The orthogonal street plan of this island settlement dates back to the Hellenistic period and it was embellished by successive rulers with many fine public and domestic buildings and fortifications. Its beautiful Romanesque churches are complemented by the outstanding Renaissance and Baroque buildings from the Venetian period. 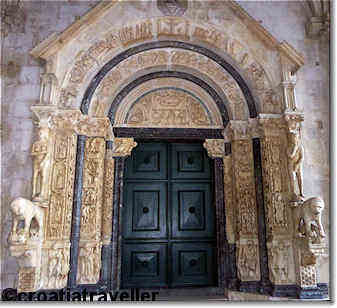 Trogir is located on an island between the island of Ciovo and the mainland. 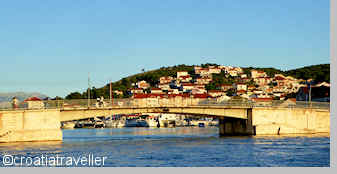 Small bridges connect Trogir with the mainland and Ciovo. Although the mainland facing Trogir is not particularly interesting, Ciovo island (really an extension of Trogir) is green and plush. The Mediterranean vegetation ends in small sand and pebble beaches on the western side. If you stay in Trogir you can combine sightseeing in the Old Town with beach days on Ciovo or you can take a boat to the unspoiled offshore islands of Drvenik Mali and Drvenik Veli. Trogir is also advantageously located near the Split airport, making it a good alternative place to stay to catch an early morning flight. Prices are cheaper and the value for money generally better in Trogir than in Split. 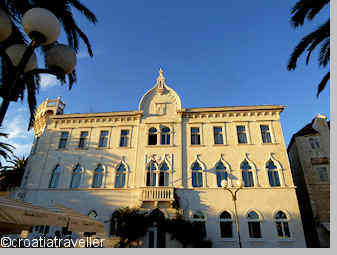 Find out more about where to stay in Trogir. Trogir has come a long way since its days as a trading post for the ancient Greeks. 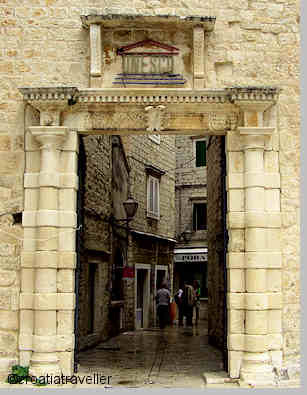 Other than the street plan and the name, Tragos, Greeks and their Roman successors, left no visible remains in Trogir. Early Croats settled around the ancient town only to be chased out by Saracens. 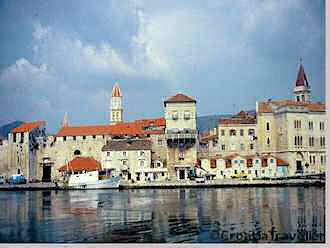 Then the town's fortunes improved in the 13th century and the Trogir 'golden age' began. Read more. There's a frequent city bus from Split that runs to Trogir but the coastal buses between Split and Zadar are much more comfortable, if slightly more expensive.You can also get to Trogir directly from Dubrovnik (see the schedule at buses from Dubrovnik). The Trogir bus station is in front of town across a canal. There's a left-luggage facility. You can book Trogir buses online at getbybus. Split airport is a mere 7km from Trogir. There's a local bus that makes the run to the airport; a taxi costs 100Kn. 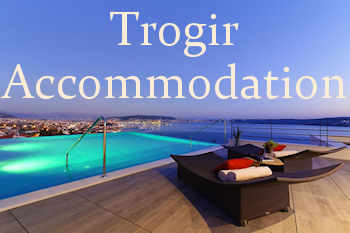 The official Trogir tourist office (tel 021-881 412) is at Trg Ivana Pavla II and finds private accommodation.